Cabell Wilkinson (Winston-Salem): From an early age, Cabell had the comedy bug, doing imitations of Ronald Reagan at family parties when she was eight. Today, the comedienne known as “that weird girl” growing up is winning over audiences with her style best described as ‘smart, in your face, and slightly insane’ delivery. A native of Winston-Salem, North Carolina, Cabell is a comic who reminds you of your mother’s strange friend or dysfunctional advice columnist. Dead end jobs, bad dates, annoying customers, aging, and single scene are just some of the topics covered in a set that feels like part therapy session, part manifesto. Voted ‘Most Likely To Fall Off A Bar Stool Looking For a Life Partner’ by her peers, she is a Triad favorite performing in clubs and venues across the South. Erick Hellwig (Los Angeles): Erick has appeared in Greatest Party Story Ever (MTV), Truth or Dare (MTV Other), Brain Games (Nat Geo), and national commercials, and has written for “Money From Strangers” (MTV). He is also the creator of the half-hour independent comedy pilot “Death Lives”. Brandi Roberts (Raleigh): An up and coming comedian born and raised in NC; Brandi hosts The Kulture Enthusiasts podcast which is a platform to help promote young creatives in NC and help expand their networks. Both audiences and Brandi agree – she’s a fun time. Annie Russell (Chicago): Annie is an emerging comic based in Chicago. Annie has opened for Marc Maron on the “Too Real Tour,” for Al Madrigal at the University of Vermont and in dive bars across the country. She has been delighted to open for comics like Jen Kirkman, Sam Morril, Jon Dore, Beth Stelling, Greg Fitzsimmons and other national acts. Annie produces and hosts Cringe!, a “wildly unique and wince-inducing” show where brave presenters share their embarrassing student artwork and writing. She is a co-producer and co-host of Arguments & Grievances, a monthly live debate show and podcast. Chloe Cunha (Cambridge): Chloé is a comedian, poet, and occasional sapphic vampire or assassin such as in the retro indie horror film Blood of the Tribades (2016), or The Penumbra Podcast. She hosts and produces The Queer Qomedy Hour at ImprovBoston and does stand-up all throughout the greater Boston area, performing regularly at the Comedy Studio as well as the comedy debate podcast Pick a Side Stupid!, which featured in the Boston Comedy Festival this year. Additionally, she was thrilled to be in the Midwest Queer Comedy Festival and is excited to have recently joined the sketch group Magenta Strike Squad. Catch her on Twitter @ChloeCunha, check out some of the videos she’s made with Anthony Scibelli (Dino-Warriors! : The Documentary), and give a listen her and Dylan Uscher’s podcast Yes Homo!, centered around LGBT+ comedians (part of the Women in Comedy Festival Podcast Network)! Leland Long (New York City): Leland grew up and started performing comedy in Tucson Arizona, but has recently moved to New York to follow one of those dream things that people have. He performed Improv at the Tucson Improv Movement, Stand-up around Tucson as well as the Kansas City Comedy Festival, the Tucson Comedy Arts Festival and the Memphis comedy festival He ran a Successful hybrid Stand-up and Improv show called Set Unlisted in Tucson and a refined version of the show called What’s that Joke? in New York. He also runs two weekly Stand-up shows in New York called Water Park and Tyrannosaurs. None of that matters though as long as you know he thinks dogs are fantastic. If you are looking to get him a gift his favorite drink is lemonade. Jake Manning (Charlotte): Jake is a pro wrestler, podcaster and a stand up comedian. On top of his busy pro wrestling, podcasting & comedy schedule Jake also produces 3 monthly comedy shows in the Charlotte Area, All Organic Comedy Show, Craft Comedy Series and Joke Sploitation. Manning has been a part of the 2018 North Carolina Comedy Festival and the 2018 Live Laugh Festival in Ohio. In addition to that, Jake’s podcasts How Did This Get Booked & 10 Bell Pod have each been named to Top 10 Fastest Growing Wrestling Podcasts of the year according to Square Circle. Vishal Krishnasami (Raleigh): Proclaimed a budding star by renowned comedy club- Goodnights, Vishal has exploded onto the scene. He’s worked with Showtime’s Andrew Santino, MTV Wild n’ Out’s Akaash Singh and has even been a featured performer internationally. Vishal may be young but his jokes are battle tested, honed on drunk bachelorettes and biker gangs (and sometimes at the same time). Kelly Ryan (Raleigh): Kelly is a great comic, but is incapable of writing a bio. Lauren Ansley (Charlotte): Based in Charlotte, NC, Lauren has been actively performing stand-up comedy since May 2017 and has already been selected as a featured performer in three Carolina comedy festivals in Columbia, Wilmington and Charlotte. Her passion to make others laugh and slight southern accent is only overshadowed by her infectious smile and abnormal height of 5’13”. Joe Medoff (Chicago): Joe is a comedian originally from Boston, but now lives in Chicago. He has been performing comedy since college, during which he produced shows at Gotham Comedy Club in New York and was a finalist in the Boston’s Funniest College Comic contest at Nick’s Comedy Stop. He’s performed at festivals such as the Cleveland Comedy Festival, Boston Comedy Festival, and Portland Maine Comedy Festival, as well as places like The Comedy Studio in Cambridge, MA, The Setup in San Francisco, and The Lincoln Lodge in Chicago. He is a paid contributor to Funny or Die and has been heard on Sirius XM radio. Cris Machado (Florida): “Is everything a joke to you?” The same question that has destroyed virtually all of his relationships, has also allowed Cris to connect with audiences across the country. Cris is a Boston native who recently moved to the comedy hotbed of Naples Florida. As the city’s youngest resident, his career has flourished. His brutally honest take on the current political climate in our society…does not exist. Cris is able to momentarily free audiences from the serious, and explore the insouciant mental state of a single 30 year old man with two cats. Cris leads spectators on a hilarious journey of absurd observations about the world they share and in the end they rejoice because at least they’re all doing better than Cris Machado. 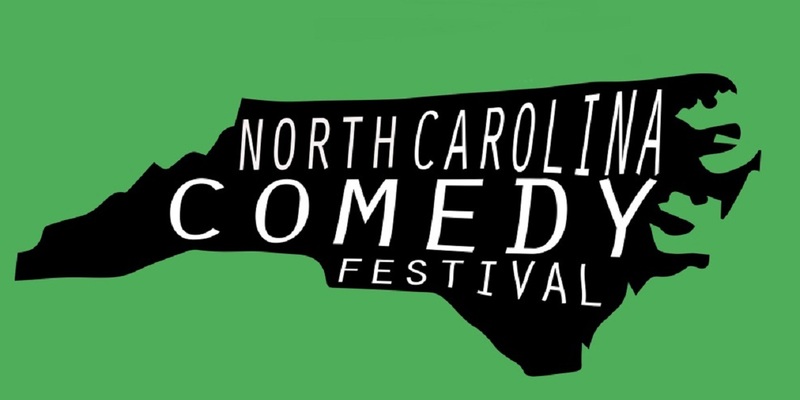 For more information about the NC Comedy Festival, please click here. Tickets are $10.00. NC Sales Tax is included in the price of each ticket. or can pick up tickets in will call for no additional charge. call 336-333-2605 to avoid this charge.